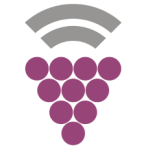 The IoT (Internet of Things) tool for the advanced monitoring of the vineyard. HOW: Wireless sensors capture the environmental and pathophysiological conditions in the vineyard; a powerful software processes and it suggests how and when to run. The IoT (Internet of Things) tool designed for manufacturing environments. HOW: Wireless sensors intercept the most different parameters (up to 1000 samples per second); Wireless actuators perform automated tasks. BENEFITS: Big data, energy savings, worker safety, better quality and more production in less time. Prediction of machine failures. 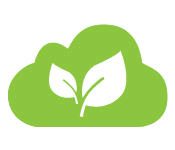 The IoT (Internet of Things) tool for the advanced management of greenhouses and climate-controlled environments. HOW: Wireless sensors measure the microclimate and the status of the plants; Wireless actuators perform automated tasks. The IoT (Internet of Things) tool for the advanced monitoring on the field. HOW: Wireless sensors capture the environmental and pathophysiological conditions in the field; a powerful software processes and it suggests how and when to run.